Following the drought vintage of 2015 and its atypically rich but sometimes unwieldy wines, 2016 yielded fresh, pure, aromatic wines that should offer considerable early pleasure. 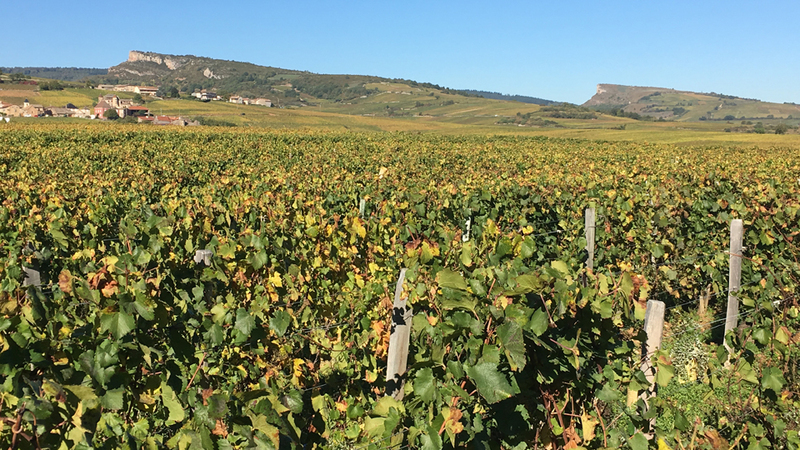 But concentration levels vary widely in ’16, as a severe late-April hailstorm had a major impact on vine yields in much of the southern Mâconnais. While the Mâconnais in 2016 avoided the devastating spring frost that had such a dramatic impact on production across much of the Côte d’Or, large swaths of the southern Mâconnais were hit hard by a violent hailstorm on the afternoon of April 13 – a weather event virtually unprecedented so early in the season. The storm came from the west and curled off to the north and then west again. By most accounts, the villages of Chasselas, Fuissé, Davayé, Pouilly and Solutré sustained the most damage; the southern section of Saint-Véran was also seriously affected. There was less damage in Chaintré and Vinzelles, and crop losses were spotty in Vergisson, at the northern limits of the Pouilly-Fuissé appellation. The primary buds were largely destroyed in the vineyards that took a direct hit from the storm, and following the shock to the vines it was a good three weeks before any secondary buds (the contre-bourgeons) emerged – if at all. This set the stage not only for a small crop but for a wide range of ripeness – not just between vineyards affected and those spared by the hail but between any remaining first buds and the second set on the same vines. Some growers anticipated at the time that they would essentially have to do two harvests in 2016. The northern Mâconnais escaped the hailstorm, and here vine yields were mostly full – and even excessive where growers did not take steps to thin their crops. The flowering in 2016 could also be tricky, as it was cooler than normal from June 12 through 19 but much warmer for the rest of the month. Following the very late flowering and predictions of a late harvest, 2016 was looking like a disaster in the making. But conditions improved dramatically in July and most of the summer was warm and dry until the harvest, which generally began between September 13 and 20 in the southern Mâconnais and at least a week later in the north. It was the very favorable conditions through much of the summer that allowed the later-budding sites to reach adequate ripeness and by varying degrees reduced the disparity in ripeness between and within sites affected by hail. Some vines, particularly in the north, began to show signs of hydric stress during the warm, dry August and early September, but not generally to the extent witnessed in 2015. A couple of well-timed rain events (for example, on August 18 and again on September 19) nourished the vines and “unblocked” the grapes. But some growers in the north with full crop levels struggled to ripen their fruit and only started picking at the beginning of October. Growers in the south typically started their harvests with the hail-hit vineyards (those with few secondary buds), where a tiny crop of grapes ripened quickly and had to be picked before sugars skyrocketed and acidity levels plunged. (The first half of September was uncharacteristically hot and dry, and acidity levels in the grapes often fell quickly.) The later harvests were more relaxed, as the days were becoming cooler – and shorter – and sugar accretion and loss of acidity were slowing down. Still, as a general rule, grape sugars were moderate in 2016 – often a significant 1 to 1.5 degree lower than in the previous year – and acidity levels were typically average to good. Fruit from heavily cropped vines could struggle to ripen, both in terms of potential alcohol levels and phenolic ripeness. Happily, rot was not an issue in 2016, and little or no selection was necessary at harvest-time. The 2016s are typically fresh and well-balanced wines, with clean fruit flavors (more citrus and orchard fruits than stone fruits), floral and mineral elements, and, in the case of single-vineyard wines, clearly defined site character. Some wines, particularly from the northern part of the region where hail was not an issue, lack a bit of concentration and thrust owing to full yields. But where yields were moderate, these can be lovely wines. Then, of course, there are the wines that were made from tiny crop levels of 15 hectoliters or less. While these wines can be impressively concentrated, they are not necessarily harmonious in the early going, and as a very general rule they come across as less relaxed in the early going than wines made from yields closer to normal. 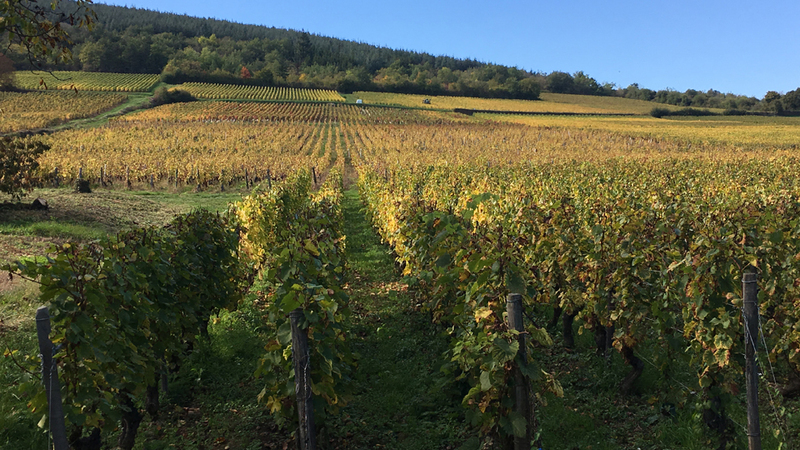 While many producers in Burgundy maintain that Chardonnay wines made from freakishly low crop levels rarely have the balance of wines from closer to normal yields, the most successful 2016s appear to have all the elements for a graceful evolution in bottle. Adjectives typically used to describe the 2016s by the producers I visited in October were precise, fresh, balanced, classic. Even where acidity levels are modest, the wines taste alive – and dry – as their alcohol levels are not high. With the exception of some of the vintage’s most concentrated examples, the 2016s will be easier to drink in their youth than the higher-octane, drought-year 2015s. Some growers compared the 2016s to the 2014s, and a few even give the 2016s an edge for fruit-driven purity and early appeal. My own feeling is that few 2016s can match the 2014s for sheer density and adamant salty minerality, although it must be pointed out that the most important 2016s may yet benefit further from their final months of élevage. Because I visited the Mâconnais a bit early last year owing to the late harvest of 2016 (I went before the harvest), I did not taste many serious 2015s then in their finished form. While some of these wines were bottled within a few weeks after my 2016 visit, many of the vintage’s more important wines were not bottled until the first half of 2017. As with the 2015s from the Côte d’Or, longer élevage was frequently constructive for the very rich 2015s, with many wines gaining in clarity and structure during their final months in barrel or, more likely, tank. While vines harvested too late often yielded exotic, low-acid wines with unwieldy alcohol, the vintage’s better examples are impressively dense and rich in extract, and have surprising acid support. As a general rule, the wines show less obvious minerality than less-extreme recent vintages like 2016 and, especially, 2014 but that element may yet emerge as some of these highly concentrated wines lose some of their baby fat with bottle aging. Some producers actually describe their 2015s as “classic” in style, but in my opinion that stretches the definition of the word. I should note that although many 2015s are rather extreme in their high alcohol, exotic aromas and lowish acidity, plenty of wines are altogether more impressive, if not more archetypal, with the extreme heat at the end of August having had the effect of concentrating acids in addition to sugars through dehydration of the grapes. And although nearly all of the malic acidity in the grapes was burned off by the hot summer (and its warm nights), the wines have healthy levels of the more stable tartaric acidity, which should serve them well in the cellar. The 2016s, thanks in large part to cooler nights during August, typically have somewhat higher malic acidity than the 2015s but less tartaric. This may be one reason why a number of growers believe the 2016s will give early pleasure and be best consumed before their 2015s. Others maintain that, owing to the density, high levels of dry extract and surprisingly concentrated acidity of the better 2015s, the top wines from the earlier vintage will evolve slowly and last well. Certainly, wines in this style still need some additional cellaring. In mid-November, the extensive proposal of the Union des Producteurs de Pouilly-Fuissé, a decade in the making under the leadership of its dynamic president Frédéric Burrier (owner of Château de Beauregard), was officially approved by the INAO’s national committee. According to this proposal, there will be 22 designated premier crus representing 182 hectares out of the appellation total of 800 (FYI: the appellation of Pouilly-Fuissé includes the communes of Fuissé, Solutré-Pouilly, Vergisson and Chaintré; Pouilly-Vinzelles and Pouilly-Loché are separate AOCs). During January and February of next year, individual vineyard owners affected by the proposed borders for the new premier crus will be able to petition the INAO to make modifications to the current plan. So it’s quite possible that the borders for some premier crus will be expanded slightly before the new classification is finalized. The project proceeded in two steps. First, Burrier and the Union des Producteurs de Pouilly-Fuissé had to come up with a list of climats that were candidates for promotion based on INAO “practices criteria” (history, notoriety, press, past usage of climat names on the labels, retail prices, and so on). Beginning with this master list, the INAO then assessed this information, carried out blind tastings, and decided on the official list of candidates. This undertaking has drawn strong support from member growers. The Board of the Union des Producteurs de Pouilly-Fuissé was required to send their approval of the plan to the INAO in early fall before the latter body could present the plan to its National Committee. President Burrier made the decision that such a crucial project really required the wide support of member growers so he invited them to attend an unprecedented general assembly of growers at the end of September. According to Burrier, nearly 300 growers representing 75% of the surface of the Pouilly-Fuissé appellation were represented at the vote. And they overwhelmingly supported the proposal. (On my tour of the Mâconnais just a couple weeks later, growers were still marvelling over the degree of unanimity – 94% voted in favor of the plan – with several of them comparing the vote, tongue in cheek, to a Russian election. 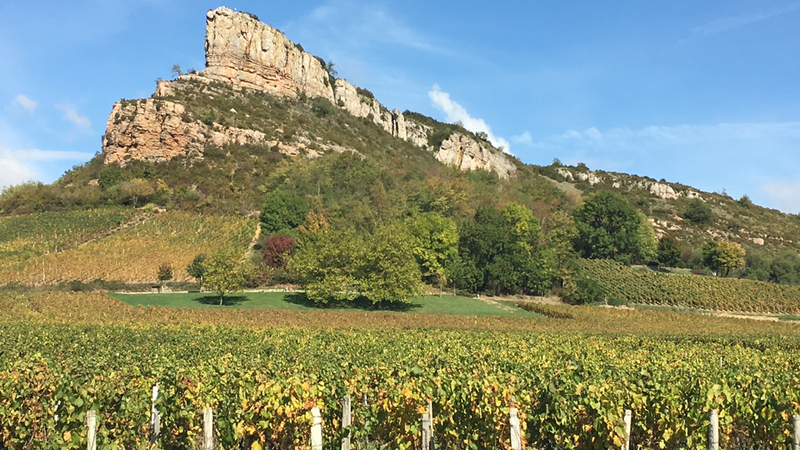 The new classification should be a shot in the arm for the Pouilly-Fuissé appellation, already the best-known part of the Mâconnais, and particularly for the vineyards that will be granted premier cru status. The first benefit is the amount of publicity that the project has drawn. The second is the official recognition that many of the area’s top sites are capable of producing wines of great distinction, from complex soils that are as distinctive in their own way as premier crus in the Côte d’Or and Chablis. 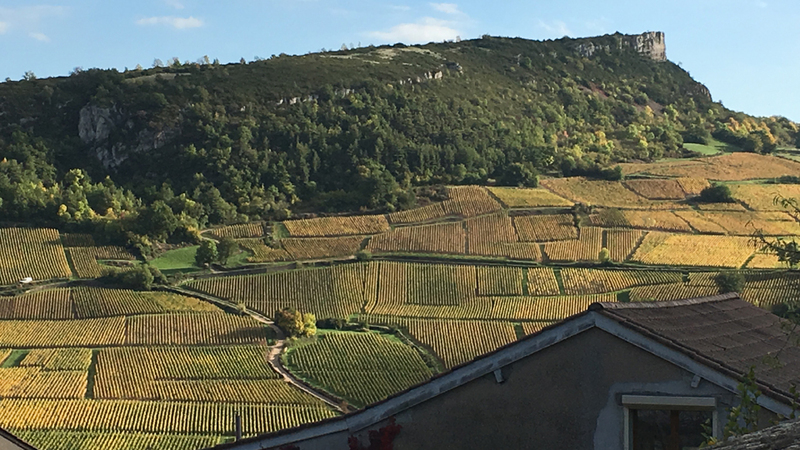 Of course it’s quite possible that prices for these exalted vineyards will rise as a result (they are already the highest in the Mâconnais), but many of these wines will still offer excellent value vis-à-vis the famous villages of the Cote d’Or. As valuable as the new classification of premier crus will be for the region, it’s likely that some of today’s top-performing sites will be omitted. After all, classification of vineyards in France has always been based on past performance, over decades or even centuries – specifically, the ability of a given site to consistently ripen its fruit under a range of climate conditions and to yield wines with distinctive and superior character, not to mention to command higher prices. But the quality of a site is something of a moving target, and global warming over the past 25 to 30 years has clearly had a major impact on many vineyards in the Mâconnais, as in other established growing regions in France and around the world. For example, previously very warm sites with strong sun exposure have not always benefited from climate change as the fruit now often gets too ripe too fast. To put it another way, in order to prevent grape sugars from skyrocketing while acidity levels plunge, grape-growers in these previously favored areas have had to take numerous steps in their vineyards, including making more clever use of their foliage to protect their fruit against the hottest afternoon sun, pruning for somewhat higher yields in order to slow the ripening process, and harvesting earlier to preserve adequate acidity levels in the grapes. On the other hand, many sites that previously struggled to ripen their fruit – i.e., those with fewer sunshine hours per day and those at higher altitude – have been privileged by climate change. The village of Vergisson, in the extreme north of the Pouilly-Fuissé appellation, is a prime example. Barely 30 years ago, few growers here bottled their own wines, and even the big ­négociants in Beaune were hesitant to buy this fruit because it rarely ripened fully. Today, however, Vergisson is producing some of the best wines of the entire southern Mâconnais: dense, minerally, aromatically complex and balanced to age for a decade or more. But in the upcoming classification, the INAO has not taken global warming into consideration, and has been quite strict in the application of several technical parameters (remaining close to the old Côte d’Or model). For example, the INAO has mostly promoted east, southeast and south exposures. In the case of slight northeast or southwest exposures, the slope must be gentle. And the INAO made it clear that the new classification should recognize only the quality of vineyards, not the quality of viticultural work and the winemaking talents of estate owner(s) who may have outperformed for decades in a technically less favored site. The altitude limit for potential premier crus has been 400 meters above sea level, and vineyards between 350 and 400 meters must face south or southeast. West and north exposures have been banned. Based on my experience, some of Vergisson’s vineyards, for example, will be short-changed in the new classification system. Also, sites to be promoted to premier cru must be on older Jurassic soil, and the INAO clearly favors limestone. Some deeper clay-based soils have been accepted but they must also be of Jurassic origin (limestone or marls) and show a minimum slope of 5%. 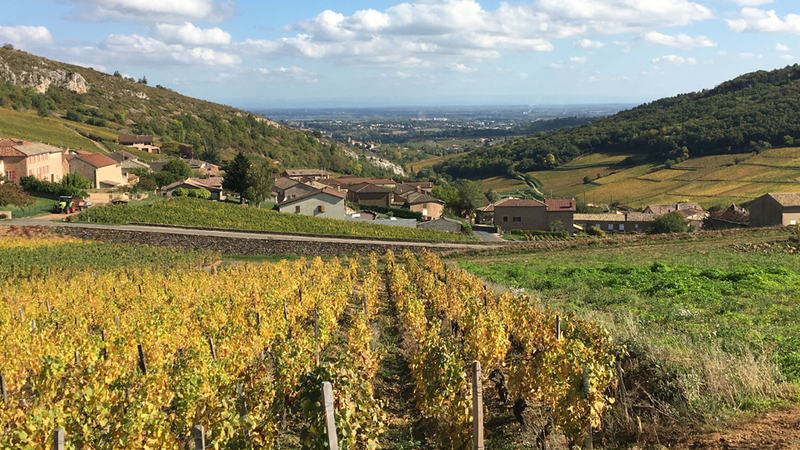 I tasted most of the wines reviewed in this article during the spectacularly sunny, dry, temperate second week of October in the Mâconnais, and followed up by tasting (or retasting) additional wines chez moi in the following weeks.